11. 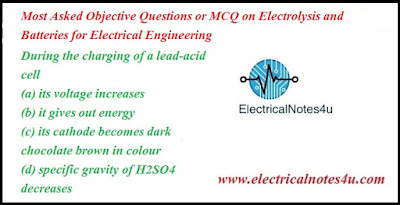 The internal resistance of an alkali cell is nearly _____ times that of the lead-acid cell. 22. Life of the batteries is in the following ascending order. 29. Weston standard cell at 20°C has voltage of ____ volts. 30. Which of the following primary cells has the highest voltage ? 31. 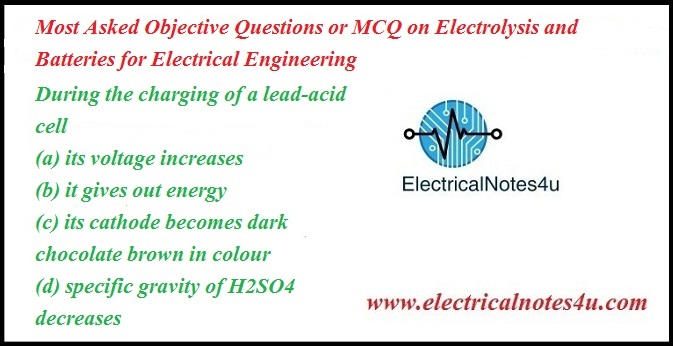 Which of the following primary cells has the lowest voltage ? 33. Which of the following battery is used for air-craft ?